For the months of July and August, we once again have a delicious recipe for you to prepare. The ingredients are all listed below, but how you mix-n-mash them is completely up to you! As all great cooks make recipes their own by adding little touches and intriguing twists, donÂ’t forget to spice the result with your favourite flavours. 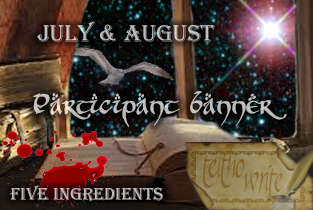 This month, let's see what you can bake for our hungry Middle-Earth and Arda appetites! As always your story can include any character in TolkienÂ’s Legendarium: Â—Elf, Man, Hobbit, Dwarf or Ent.